This year’s turbocharged Schumptoberfest is also known as the ACM workshop on Innovation and Entrepreneurship in the Liberal Arts Curriculum. 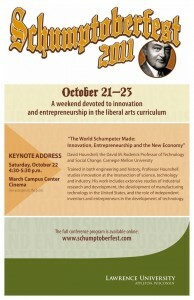 You can find the program online at www.schumptoberfest.com, or click on the posters below. 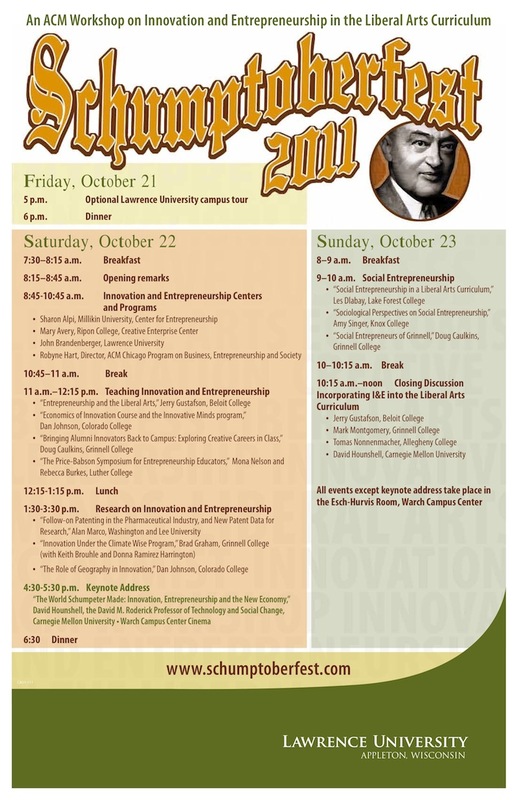 The keynote address is open to the public, and you wouldn’t want to miss it if you are on campus. If you are interested in some of the other sessions, talk to Professor Gerard or Galambos.